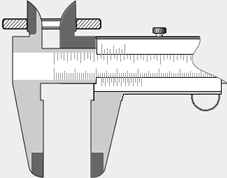 The vernier caliper is a measurement tool equiped with one scale and a cursor that slides in itself and it was designed to take linear dimensions by contact. The most popular type in mechanical workshops is the one equiped with nonius, but, usually, all kinds are enabled to take external, internal, depth and rebound measurements. 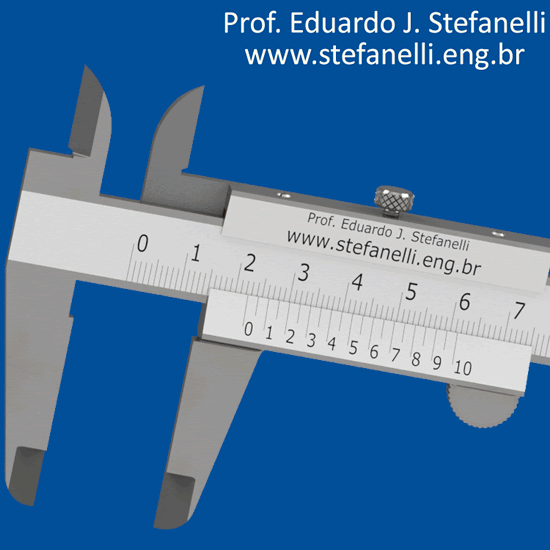 Obviously, it is necessary to adapt this procedure to each kind of measurement, for example, it is possible to move the caliper before the reading in depth or rebound measures, or to internal or external measuring. The first step is to open the instrument a little bit less than the hole to be meausured and the 6th step is to close the instrument before removing it from the hole. 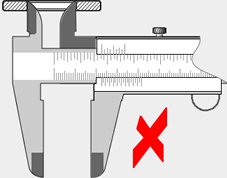 Allow the caliper to align with the object that is beeing measured. This is possible by holding them together without pressing. Place the object close to the main scale, without touching it, example 1. 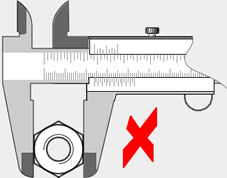 Alow the caliper to align with the hole or rip that is being measured. This is possible by holding them together without pressing. Place the object as close as possible to the cursor, example 3. 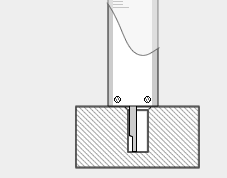 Alow the shaft to remain paralel to the hole or rip that is being measured. This is possible by holding them together without pressing. 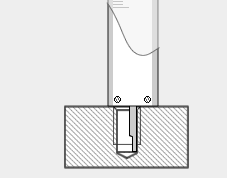 If you use the groove side, the top of the shaft will keep going until it rests on the tip cone of the drill, adding a few more tenths of millimeter to the measure, example 4. 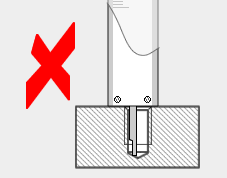 To measure the depth of a blind hole, use the depth rod side with the groove, example 5. This practice avoids the measurement of the rounding of the bottom. 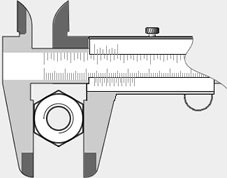 Some caliper companies have added a very interesting characteristic, that alows the measurement of rebounds. The top of the cursor and of the main scale are coplanar. This way, it can be used with much greater accuracy than that obtained when using the depth rod, example 6.